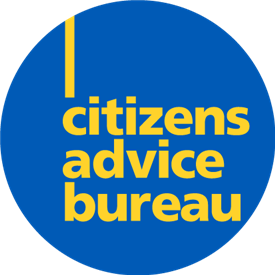 Argyll and Bute Citizens Advice Bureau offers Free, Impartial, Confidential advice on a range of issues. We are a local charity and have a Board of Directors from across Argyll and Bute. We are an accredited advice giving organisation and hold the Scottish National Standards awarded to us by the Scottish Government. We are also accredited by Money Advice Scotland to provide debt and money advice and are registered with the Financial Conduct Authority. We are audited by Citizens Advice Scotland on both quality of advice and on our organisation as a whole. In addition to the above general advice we also have a range of specialist advisers who can assist you with; longer term debt options, pensions and money advice, social security claims and advice, advice for patients of the NHS and also advice tailored to those with a background in the armed forces. We can offer clients completely confidential face to face interviews or we can help clients by phone or by email. There are no jobs with Argyll and Bute Citizens Advice Bureau at the moment. Sign up to email alerts below to get notified when new jobs are added. Get the latest jobs from Argyll and Bute Citizens Advice Bureau sent direct to your inbox!